Some books have that “special something” from the first page to the last, and this is one of them. 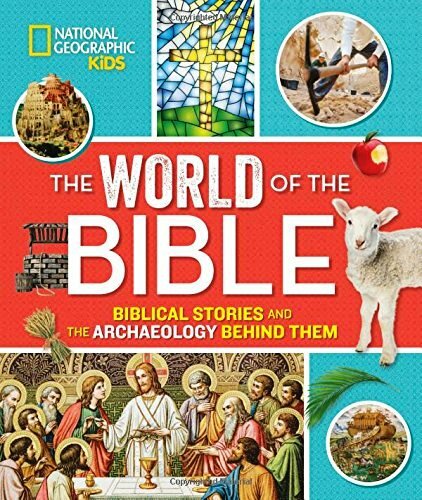 National Geographic Kids’ The World of the Bible: Biblical Stories and the Archaeology Behind Them, by Jill Rubalcaba, is a history-lover’s dream. Part history book, part biblical reference, and part art gallery, this lovely over-sized hardback discusses well-known bible stories and the modern-day archaeologists who attempt to authenticate them. 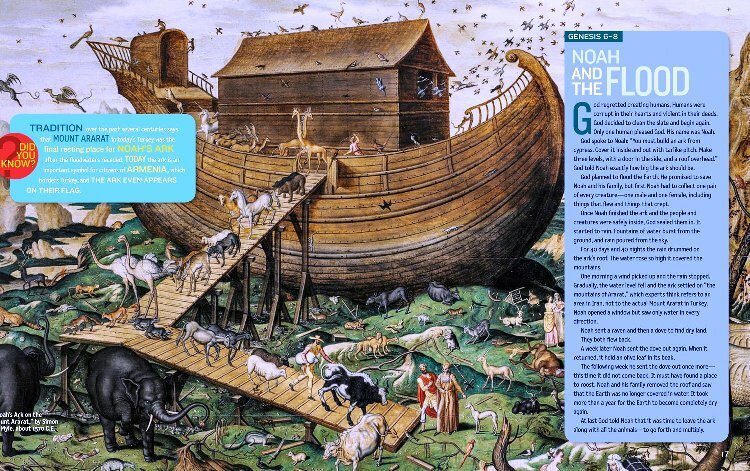 There is the story of Noah’s ark that is told against the backdrop of an amazing painting of the animal-laden ark (called “Noah’s Ark on the Mount Ararat”) by Simon de Myle in 1570 C.E. Then there is the accompanying story of “the Ark Tablet,” a clay tablet from Mesopotamia that tells a similar story of a man who built an ark, gathered animals into it two-by-two, and escaped a devastating flood. There is also the moving story of how Abraham is commanded to sacrifice his son Isaac, and then prevented to follow through by an angel at the last minute. There’s the sweet story of “a bride for Isaac”; and even the story of Jacob’s dream of angels climbing up and down a ladder that went all the way up to heaven. This book is almost too lovely and too amazing for words. Ms. Rubalcaba’s prose is quaint and familiar, as if she is talking to a faithful friend, and the paintings are beautiful renditions of those done by the masters. Each story is told in a way that brings the bible to life, and the accompanying archaeological research and findings solidify the faith of believers everywhere. The detailed Table of Contents is laid out like the bible: Part I is the Old Testament, and Part II is the New Testament. Each story has information boxes that are color-coded blue to depict bible stories, and green to tell about any true discoveries that have been made by present-day archaeologists. Use this book in children’s Sunday School classes to help demonstrate the events of the early bible; in adult church classes as a biblical reference; in history classes to start discussions about religious beliefs or historical events; or as a part of your spiritual library. 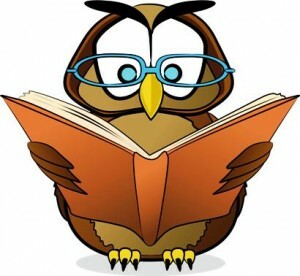 Read it as you like it! Like we said, "Everybody Loves a Great Picture Book!"